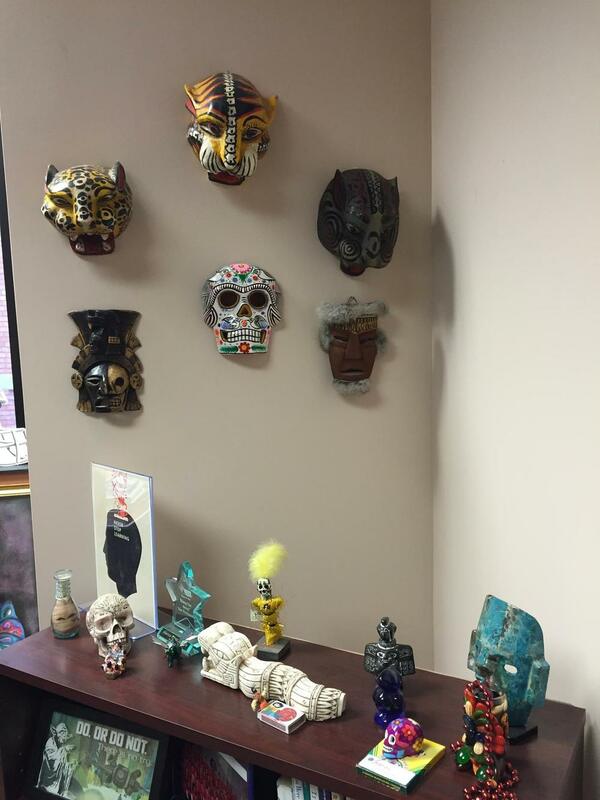 This week we're featuring the awesome office of Mauricio Gómez Montoya, Retention Specialist with the Office of Multicultural Affairs at the University of Kansas. "I love my job. It’s challenging, rewarding and ultimately really fun. However, if I’m going to spend over 40 hours per week at work, I’m gonna make this place look and feel like home. I’m a huge Marvel & Star Wars fan, I also love sports and cultural artifacts. I’ve tried to blend these interests into the look of my office. Initially, I did this because of what I thought these items said about me. It made me feel “cool” and express my interests. I’ve noticed that the decoration of my office has inspired my students to trust me more if I put myself out there. I they feel like they really know me. Good practices in Student Affairs rely on relationships across campus. Relationships are based in trust. If your students (and colleagues) know you, they will trust you and if they trust you, they’ll listen to you. I’ve bonded on several occasions with students because of the conversation starters in my office. Whether it is the giant Spidey poster on the wall, the Gumball dispensing Yoda on my desk or the Jimi Hendrix portrait, students feel like they can relate and ultimately, feel more comfortable. These conversations have lead me to think it’s time to redefine the idea of professionalism in student affairs." What I really like about Mauricio's office is that it features Spider-Man (a personal favorite of mine), as well as the other diverse interests that he showcases in his space. I also appreciate how Mauricio shared the doubt he experienced as he thought about moving up professionally. I think we can all be our genuine selves no matter what we want to do professionally. Especially in our field, we should be encouraging professionals to be themselves so that we showcase a positive example for our students. I know it was transformative for me to accept that I can be myself and also be an effective leader and professional. 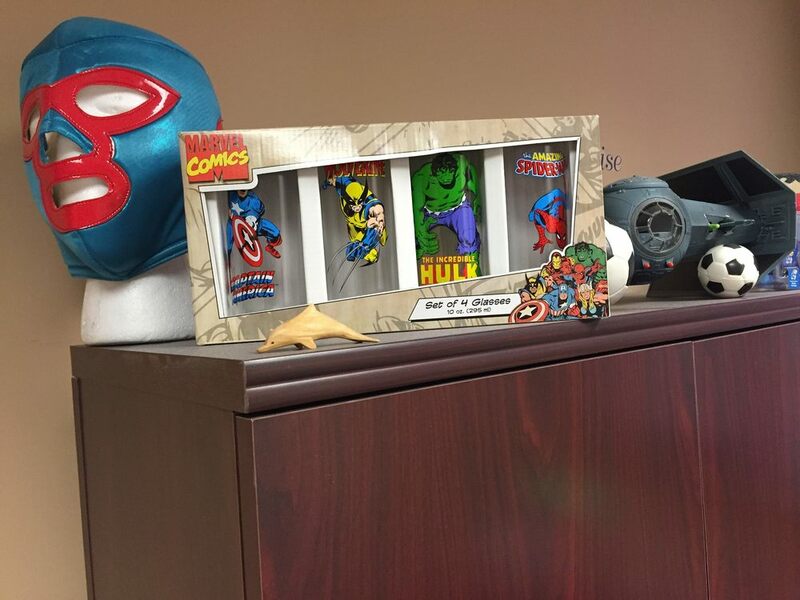 It's awesomely poignant that Mauricio's students helped him realize that he should keep his geeky decorations up in his office. Many thanks to Mauricio for sharing his space with us.